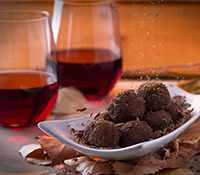 Sipping a little wine while enjoying sweet chocolate with your valentine is a great way to celebrate the holiday-or any day for that matter. 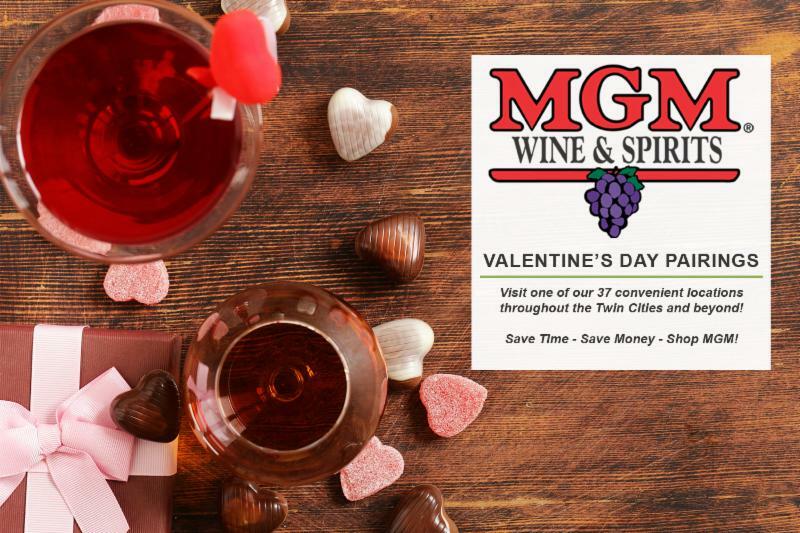 Whether the chocolates are classics from a heart-shaped box or locally made artisan creations, you can find a wine to complement your treats-just skip the same bottle you may get for a steak dinner as that could leave you with a less-than-pleasing partnership. Sweets can emphasize a wine’s acidity, and if they are paired with a wine that is drier than the dessert, the combination can result in a bitter taste. Keeping it sweet is your best bet. Wines that are classified as dessert wines are natural matches. Port is a perfect choice-with flavor descriptors such as caramel, honey and dried fruit, port can’t help but make a match, especially with dark chocolate candies or chocolate desserts. Ruby port is one of the few wines that complements milk chocolate. PX (Pedro Ximénez) sherry from Spain also makes a fine friend. The best examples display intense, ultra-sweet aromas along with balancing flavors of chocolate, coffee and spices. If you prefer a white wine, the hints of orange flavor in Muscat can accent those in a chocolate orange treat. Raise a glass to your valentine with sweeter styles of bubbly and chocolate-covered strawberries. Outside the dessert wine category, blends can help in pairing. Merlot softens Cabernet Sauvignon, for example, and adds fruity elements that help make a match. Merlot’s lush, plummy aromas, silky dried cherry, and raspberry flavors complement the Cabernet’s structure, blackberry and cherry jam flavors and hints of vanilla oak. These elements help the wine complement chocolate with fruit and nuts in the recipe below. To make port, which is a fortified wine, brandy or a neutral grape spirit is added to wine partway through fermentation, which stops the fermentation process of converting sugar to alcohol and allows the wine to retain much of its natural sweetness. The wines are then aged varying lengths of time, depending on the style-vintage, ruby or tawny. It’s easy to customize this recipe to suit your preferences. Here it is made with cashews, dried cherries and dried figs but any of your favorite combinations can work. Serve with a glass of Woodbridge by Robert Mondavi Cabernet Merlot. Chop nuts in half or quarter as well as dried fruit, depending on its size. Add all chocolate to a microwave-proof bowl. In 30-second intervals, microwave the chocolate, quickly remove and stir, then return to the microwave for 30 seconds until the chocolate is completely melted, about 3 minutes. Acting quickly, pour the melted chocolate out onto the parchment paper in a rectangle. 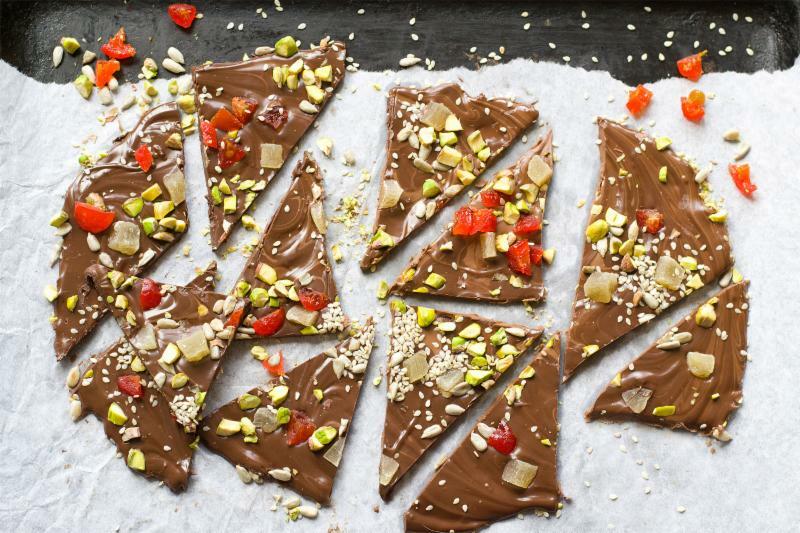 Allow the chocolate to rest for about 30 seconds, then sprinkle nuts and fruit over the chocolate. Let chocolate cool for another two minutes, then sprinkle sea salt over top. Set aside for about 2 hours or until firm. Do not put in the refrigerator to speed firming-the chocolate will grey. Chop or break the bark into pieces. Store in an airtight container in a cool place for up to one week and serve at room temperature.